Sign up for newsletter of new releases and general writing news from Teddy Jacobs, and be eligible for free giveaways! Every so often (more often I hope, than lately) I have news. Like, for example, I finish a book. Or I have something free to give away. If you'd like to sign up to receives emails about new releases and general news about my writing, as well as be eligible for free giveaways, please sign up for my mailing list. Also, always feel free to drop my a line at theodore@teddyjacobs.com -- I always love to hear from my readers. PS I will give away a free signed copy of one of my books, or a complete set of my published digital works, to someone random on my mailing list every time I reach 50 more Facebook likes, 50 reviews, or 50 more members of my mailing list. Feel free to spread the word - I can't wait to mail off my first book - or send off a digital copy of my collected works! Sign up now for news on new releases and general writing news from Teddy Jacobs, and be eligible for free giveaways! Exciting News for Audio Book Lovers - SWORD BEARER is an audiobook! I'm proud to announce that today ACX released the first volume of Return of the Dragons, SWORD BEARER, as an audio book on Audible.com. J. M. Badger of Brick Shop Audiobooks did an amazing job bringing my first book (and the adventures of Anders Tomason) to life, and I'm very excited to have worked with him. In a few weeks, J.M. Badger will be narrating Wind Rider as well. And in a few days, Sword Bearer should be available for sale at Amazon directly as well as on iTunes. In the meantime, Audible has lots of deals for new members signing up to receive free audio books -- if you haven't signed up yet, perhaps Badger's audio production of my book might be a good place to start listening. Feel free to listen to the sample and decide for yourself. And for those who have asked, yes, I am working on the sequel, and may post an excerpt here one day soon. Sword Bearer, book one in my epic fantasy series, is now available free, all over the world, on a wide variety of electronic retailers. I'm excited to make the book available free to even more readers. Tired of his controlling father treating him like a child, sixteen-year-old Anders Tomason yearns for grown-up adventure. Until the day when he opens a magic portal by accident, and a Kriek girl bursts into his locked room with a chemical warlock hot on her trail. Now Anders will discover just how much his parents had been protecting him from, and at what cost. Because the adventure is upon him, and it's an adventure full of danger, full of blood, fire, demons and Evil. To face it, he'll need the sword given him by his blademaster, need the ancient words his grandfather bequeathed to him on his deathbed. Need the song that runs in his own blood, in his veins. But will blade, word and blood be enough? In a world where ancient civilizations and their technology lie in ruin and their languages lie forgotten, and where remembered words from long dead tongues hold power for those who can speak them - in a world where unspeakable evil is personified by not just by demons, but by the unholy chemical mages who invoke them with guttural chant, with fire and acrid smoke - shameful family secrets will merge with age-old prophecy to push Anders into a dangerous destiny he isn't the least prepared to face. Yet face it he must. A sword will be reforged, battles will be fought, friends will be made and lost, secrets revealed. And blood will be spilled. Young Anders will become both swordsman and sorcerer. And, ready or not, he will become a man. 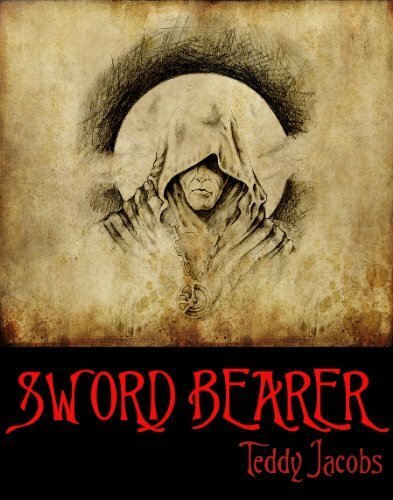 Anders Tomason already found a magic sword and clashed with his evil uncle in SWORD BEARER. Now he returns in WIND RIDER -- and continues his struggle with the evil chemical forces that threaten his world, enlisting, in the process, the help of the dragons. Teenager Stanley Hoff has it hard. He's hairier by the minute, his teeth ache, and the moon makes him howl and growl. Worse, his mom's a witch. And Stanley? He's WICKED HUNGRY, but there's no meat to eat in his vegetarian home.After a locker room confrontation with a high school bully makes Stanley famous, childhood crush Meredith invites him to her Halloween party. More than fine, except his best friend Karen has broken up with her boyfriend and wants to be more than friends. But when Karen turns allergic to sunlight, Stanley has to wonder is she interested in Stanley as a boyfriend, or as... food? 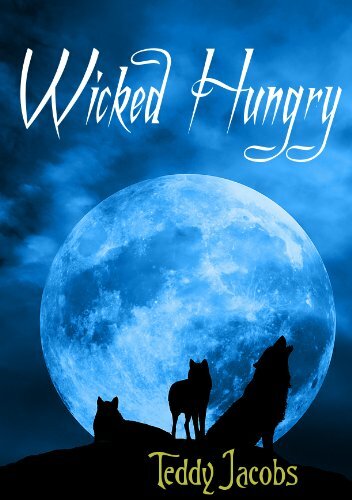 As a supernatural threat menaces his friends, his high school and his suburban New England community, Stanley struggles not just with his hunger and the beast within... but to survive. Sign up for news on new releases and general writing news from Teddy Jacobs, and be eligible for free giveaways! Join the Teddy Jacobs discussion group on Google Groups to ask questions, discuss his works, and find out when his new books are coming out. Better yet, sign up for my newsletter, or send me an email.